Experts in the organisation of trade and consumer events, we run 40 leading events in 18 industry sectors, including Batimat, EquipHotel, Expoprotection, Fiac, Yachting Festival … Our show teams handle the concept, the promotion and the organisation of these leading events, which reflect how both markets and lifestyle trends are changing. Our web portals such as observatoire de la franchise or infoprotection are available to rent and offer additional benefits to businesses. Reed Expositions France is a subsidiary of Reed Exhibitions, a leading global events business. This is our core mission. By drawing on our market knowledge and the know-how of our show teams, we can devote all of our energy to working with you in your search for prospects; offering you tools for identifying them, for making contact and for organising profitable business discussions. Make the most of your visit or raise the profile of your business activity through a wealth of relevant content: information about products or solutions that you are looking for, workshops or lectures on topics that interest you, summaries of trends in your market. Our sector leading shows and our global network enable us to attract the top experts, maximising the benefit of your visit and allowing you to take advantage of their expertise. We create the ideal conditions for building business relationships with your customers and suppliers. Seize the opportunity to get your company known, to promote your brands and to export your products and services abroad. Your success, the expansion of your business, the return on investment from your participation in our events and your satisfaction are our primary goals. With 500 events, 7 million participants, a unique network of 41 offices worldwide and experts in helping companies export, Reed Exhibitions is the world’s leading events organiser. Reed Exhibitions puts its event knowledge, its multi-cultural event teams and its matchmaking expertise at the centre of every event, in order to orchestrate high quality meetings between vendors and buyers all over the world. 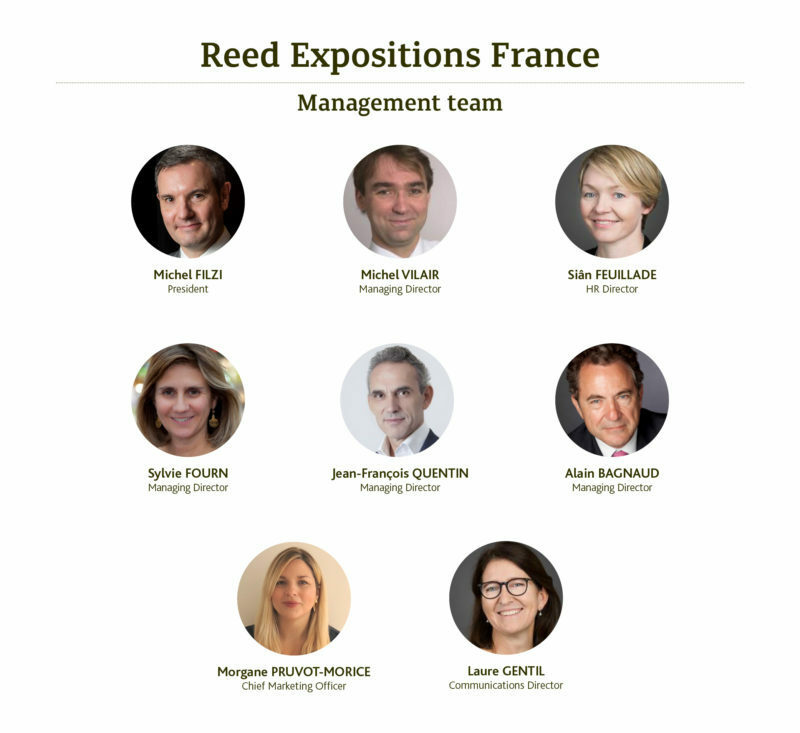 Reed Exhibitions is a member of RELX Group and its French subsidiaries are Reed Expositions France and Reed MIDEM. RELX Group (formerly Reed Elsevier) is a world leader in the distribution of information and the organisation of events for professionals. Its products—information portals, publications and directories, risk management tools and events—satisfy the requirements of professional, scientific and legal communities and institutions. The international nature of RELX Group and the wealth of its digital offering make it the world’s fourth largest producer of online content after Google, China mobile and Bloomberg. RELX Group is a signatory of the United Nations Global Compact. Maison&Objet Paris maintains attractiveness for international buyers and specifiers. The September 2017 edition of Maison&Objet has registered a significant upsurge in the number of visitors, with a 21% increase on September 2016. The September 2017 BIJORHCA PARIS has just come to a close and, by all accounts, it was a huge success, largely due to the refreshed image and layout of this unmissable jewellery industry event. MAISON&OBJET’s unwavering magnetism! With the ending of the January 2017 show, MAISON&OBJET has proven once again that it is the major hub for buyers worldwide. 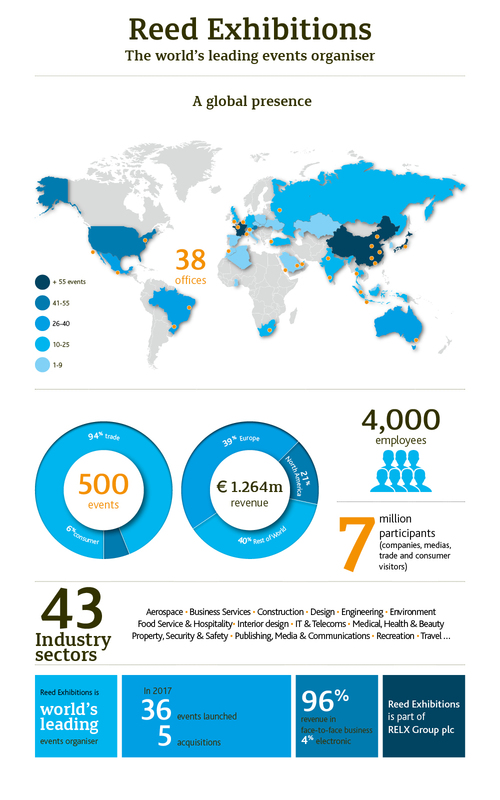 The 2016 session of Expoprotection, the risk prevention and management exhibition, held in Paris from 7 to 9 November, once again attracted around 25,000 visitors (25,254 in 2014) and a record number of exhibitors (754, up from 687 in 2014). Reed Expositions France maintains security measures at all its exhibition sites, their entrances and exits. IT Partners 2016: a vibrant 11th edition ! More than 12,700 resellers of IT, telecom and audiovisual solutions took part in the 11th annual IT channel exhibition at Disneyland Paris on March 9-10. BIJORHCA PARIS, the unique international trade show for fine and fashion jewellery, watches, industries and supplies, closed its doors on Monday 25 January 2016 after four days of non-stop business. REED EXPOSITIONS FRANCE confirms that all of their upcoming events will be held as scheduled in the next three months. Fiac confirms its status as an essential art world rendez-vous and enjoys a trifold success: exceptional sales and enthusiastic reactions from critics and the public alike. The successful launch of Maison&Objet Americas secures Miami Beach as the new capital of high-end deco and interior design for both the North and South American market. SITL Paris and Intralogistics Europe 2015, first figures. 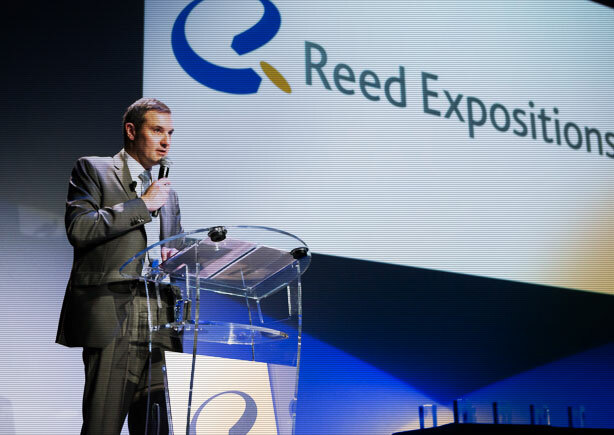 Michel Filzi is appointed President of Reed Expositions France. BIJORHCA PARIS consolidates its position as the leading event for the international jewellery industry. International eco-business event a great success. MIDEST, the world’s leading industrial subcontracting show, was held for the 44th time from 4th to 7th November at the Paris Nord Villepinte Exhibition Centre and was a very real success despite the difficult economic situation. The first WNE - World Nuclear Exhibition, which closed on 16th October, was a great success. CARDIOSTIM/EHRA EUROPACE, the global congress on cardiac electrophysiology and techniques, ended its 2014 meeting on an extremely positive note. Marketing Point de Vente 2014 : Visitors impressed by an edition rich in content and quality!